Advanced Cabling & Security is a locally owned and operated company providing Cabling and Security Services in the Greenville NC area. Partners, Ralph West and Billy Shoemake, formed ACS after 18 years experience in the Home Security Industry. "It is our goal to develop long-term relationships with our customers by providing professionally installed systems at affordable prices followed by excellent customer service." 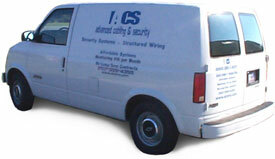 ACS is fully licensed and insured specializing in structured wiring and security systems.